Darth Vader may not be the nicest guy in the Star Wars universe, but you can't say anything about his wanting you to stay hydrated! This Star Wars Darth Vader 18 oz. 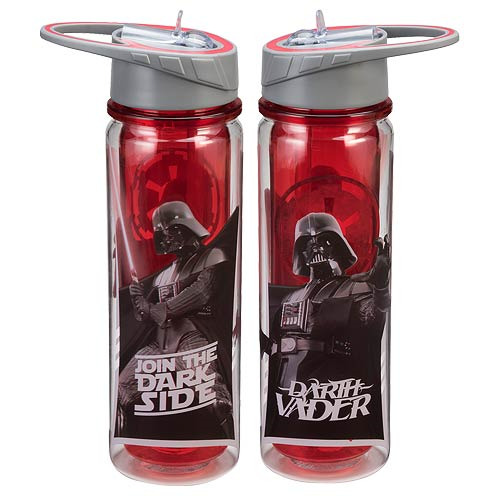 Tritan Water Bottle features a cool red design with images of Darth Vader looking as intimidating as ever. Water bottle is able to hold up to 18 ounces of liquid. Top rack dishwasher safe. Do not microwave.